Late fall and early winter are very busy times, indeed! The excitement of Halloween gives way to cooking smells and family time for Thanksgiving, and on to the hustle and bustle of Christmas preparation. Between the dinners, guests, holiday parties, and cozy down time, it’s easy for your interior decorating clients to forget about home decor. You don’t need to rotate between mountains of ornaments and trinkets to keep up with the seasons. Make life easier by choosing a few staple pieces that suit each holiday and don’t need changing before Christmas. Create set ups that look stylish but effortless (because they really are that simple)! Check out these eight easy decor solutions for transitioning between Thanksgiving and Christmas without hassle! Some clients love a good quote! If you notice messages of encouragement and inspiration elsewhere in your clients’ home, consider following that theme in their holiday decor as well. 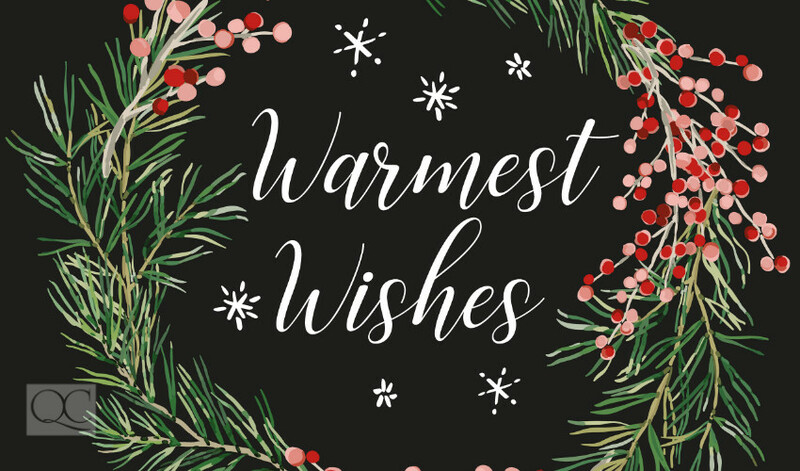 Choose sayings that center around family time and warm wishes rather than actual holiday phrases about giving thanks or enjoying a merry Christmas. Decorative platters and wall pieces with beautiful wording are a great way to establish a holiday atmosphere without getting too specific and having to switch the decor later. 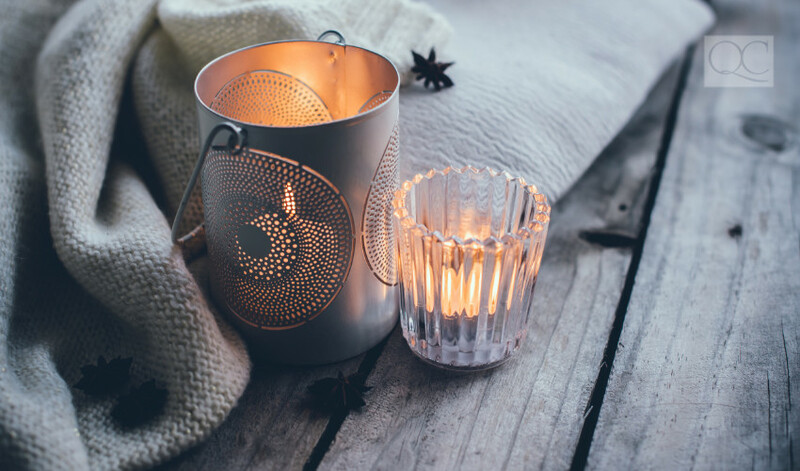 Giving your clients’ home a warm glow is a great idea in the darker months. Tea light candles are the perfect finishing touch to your other seasonal decor and they’re easy to transform for any holiday. Find Thanksgiving and Christmas tea light holders that your clients can switch quickly on a late November afternoon or encourage them to create their own DIY holders, incorporating neutral colors and a bit of glitter to fit the entire season. One of the best ways to build a holiday atmosphere is to bring the outside in. Help your clients enjoy natural elements away from the chilly air by incorporating lightly worn or whitewashed woods into their seasonal decor. Pile orange and white pumpkins and other seasonal vegetables into a smooth wooden bowl on the dining table or a stylishly worn box on the sideboard. Swap the vegetables for Christmas tree ornaments or miniature wrapped presents later in the season. The natural wooden element stays constant throughout fall and winter and the contents let your clients customize their space. Using a neutral color palette with a few standout shades is a great way to transition seamlessly from Thanksgiving to Christmas. Start with a mixture of traditional fall-time colors, like deep orange, yellow, and a few shades of brown. Mix in dark green and a splash of deep red for contrast. Towards Christmas, slowly phase out the orange and brown in favor of more red, green, or gold. Atmosphere is about more than just how the room looks! Help your clients think of which aromas remind them of Thanksgiving, Christmas, and the holidays in general. 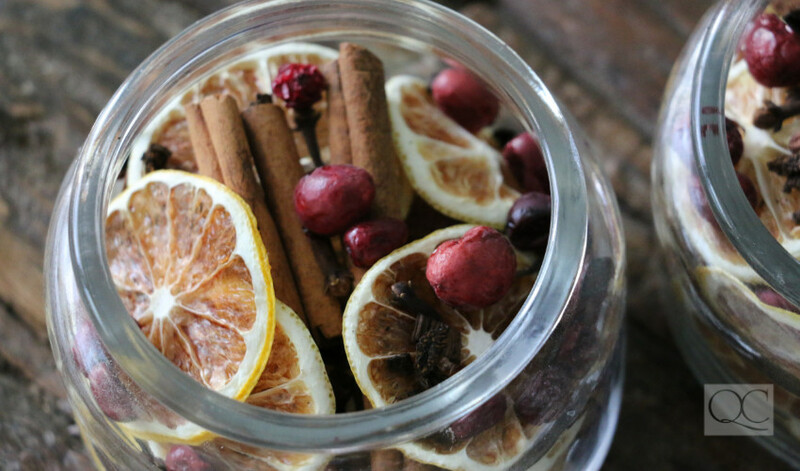 These scents can be incorporated in the decor by placing a pot pourri including fresh herbs in a dish. In the fall, try fresh rosemary in your pot pourri. Replace it with aromatic cinnamon closer to Christmas. If your clients would prefer a simpler switch, help them choose an assortment of scented candles. Keep in mind: Comforting seasonal smells are important, but try not to include so many that the smell of their actual Thanksgiving dinner or their fresh Christmas tree is overpowered! Build displays that are easy to adjust and transition so clients can avoid starting from scratch as the season changes. Start with some bright pumpkins placed loosely across the mantle alongside a few cute Halloween decorations. After Halloween, replace the ghosts and witches with red berry branches in a decorative or DIY vase. Keep the pumpkins right where they are! When Thanksgiving has passed and they’ve recovered from their big dinner, they can switch the pumpkins for a bowl of spare Christmas tree ornaments or a pile of miniature wrapped presents. Those red berries will already be in place for some holiday cheer. Even the pine cones in your clients’ back yard will do as long as they’re clean and intact! Pine cones are a natural, versatile staple for both fall and winter. Try filling clear vases with pine cones and surrounding those with bright pumpkins for Thanksgiving. Later on, switch the pumpkins for red berry branches stuck between the pine cones in each vase. 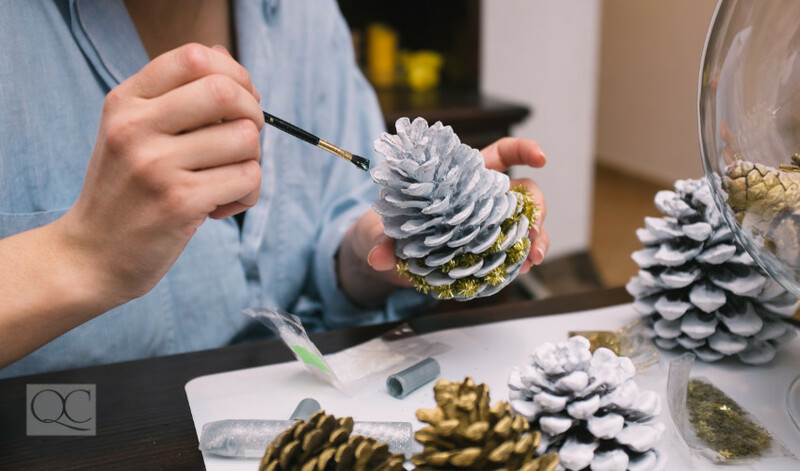 For a more DIY approach, encourage your clients to make pine cone wreaths featuring bright fall leaves and an orange ribbon. Come December, switch the leaves for holly and cranberries and the orange ribbon for a red one. Glitter is great for DIY decor projects. It gives the space some shine that suits both Thanksgiving and Christmas. Glitter in gold, bronze, red, and deep green gives your clients a staple piece and a statement piece all in one, helping them transition their display from fall to winter. Their choice of color will contribute to each holiday, while the glitz of the glitter will mimic the frosty weather outside. Seasonal decor should be the least of your clients’ worries in the midst of holiday hustle and bustle. Help them choose pieces that work for Thanksgiving and Christmas throughout the season. Be smart about natural elements, color palettes, and accent pieces to maximize decor and minimize hassle! What are some of your favorite ways to transition your decor from Thanksgiving to Christmas? Tell us about them in the comments below! 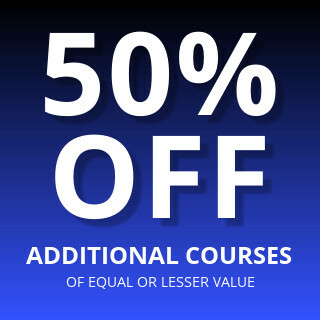 Gearing up for your first holiday season in business? 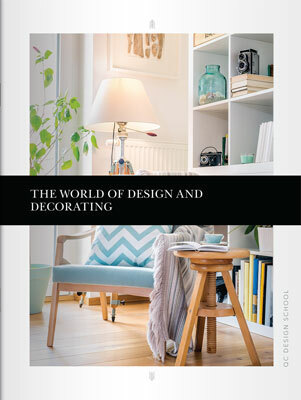 Find out how to make the most out of your interior decorating certification!